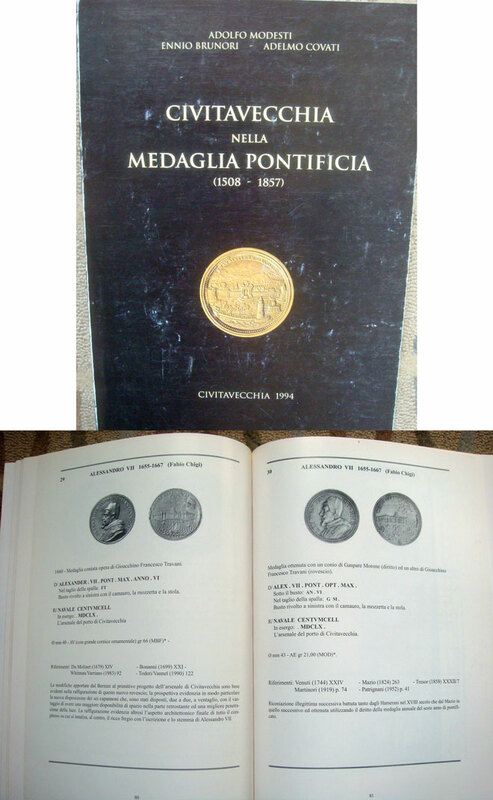 Specialized work by Adolfo Modesti (Civitavecchia, 1994) on the papal medals featuring the important port of Civitavecchia. The book examines--through papal medals--three and a half centuries (1508-1857) of the history of this city and the fortifications built to protect the territory of the State, as well as the enterprises and military equipment built to counter the threat of Turkish power. 52 medals fully described and pictured. Includes a brief glossary of papal medal terms as well as extensive notes and bibliography. 190-page softcover, the cover has absorbed wear with the interior pages tight and clean. U.S. shipping only, international customers please contact me for shipping rates.